Is California beyond repair? A sizable number of Golden State citizens have concluded that it is. Incessant budget crises plus a government paralyzed by partisan gridlock have led to demands for reform, even a constitutional convention. But what, exactly, is wrong and how can we fix it? In California Crackup, Joe Mathews and Mark Paul provide clear and informed answers. 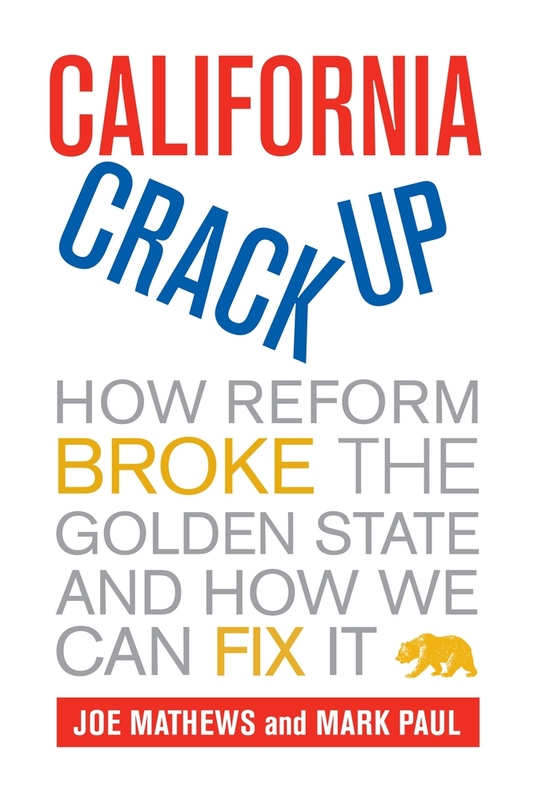 Their fast-paced and often humorous narrative deftly exposes the constitutional origins of our current political and economic problems and furnishes a uniquely California fix: innovative solutions that allow Californians to debate their choices, settle on the best ones, hold elected officials accountable for results, and choose anew if something doesn’t work. Joe Mathews is Irvine senior fellow at the New America Foundation as well as a fellow at the Center for Social Cohesion, Arizona State University. He is the author of The People’s Machine: Arnold Schwarzenegger and the Rise of Blockbuster Democracy, a columnist for The Daily Beast, a freelance journalist, and associate editor of Zócalo Public Square Mark Paul is senior scholar and deputy director of the California program at the New America Foundation. He was formerly deputy treasurer of California and deputy editorial page editor of the Sacramento Bee. 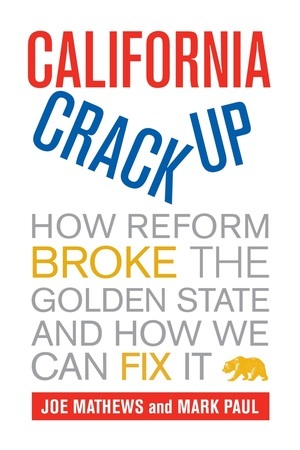 Mathews and Paul are authors of the article "How to Fix a Broken State" in the March 2011 issue of Boom: A Journal of California.